Z-Phosphor VPL-PHZ10 and VPL-PWZ10, with a brightness of 5,000 lumens and resolution WXGA and WUXGA, respectively, are the new units with laser light source for the installation market in classrooms and meeting rooms showing the manufacturer in detail these days in Amsterdam, next seven series models E.
New source of laser light for installation projectors of Sony: Z-Phosphor VPL - PHZ10 and VPL-PWZ10 are presented first time visitors of ISA 2017 (hall 1 - stand N20), but will be available for sale in the market from May to July of this year, respectively. This fourth generation of laser projectors the company offer high image quality, with a brightness of 5,000 lumens, accurate reproduction of colors and minimal maintenance to increase the profitability of this technology in the installation market, since the classrooms to meeting rooms. Sony VPL-PHZ10 and VPL-PWZ10 are a cost-effective option for small spaces, such as classrooms and meeting rooms small, although they take advantage of the same 3LCD technology of laser light source Z-Phosphor than the existing installation of the company laser projectors, with a performance of about 20,000 hours without maintenance and many functions of energy saving (attenuation and automatic brightness, etc.) 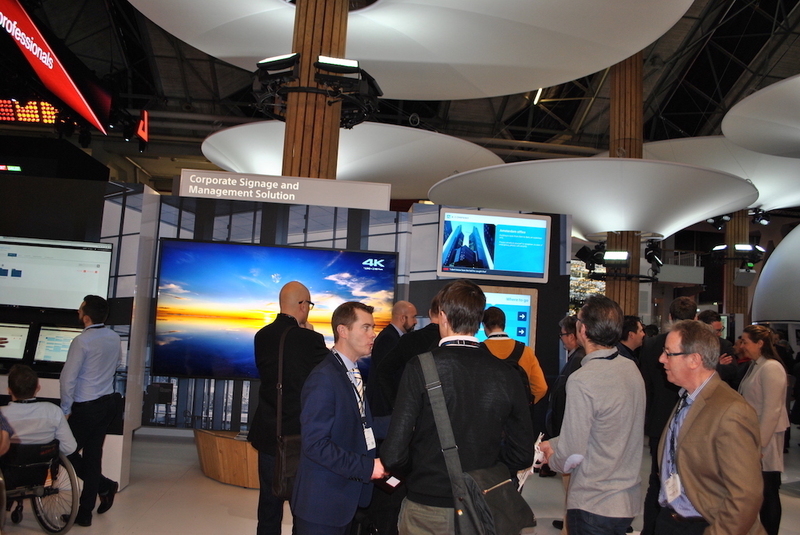 that significantly reduce the total cost of ownership with respect to conventional lamp projectors. The incorporation of these models to the laser range increases to eight the number of projectors with this technology which is now offering Sony to market educational and business, with a sheen that covers from 4,100 to 7,000 lumens WXGA and WUXGA resolutions. Both models incorporate the 3LCD BrightEra technology, with the ability to project red, green, and blue components of the image separately to ensure intense and natural colors, in addition to avoiding the so-called 'decomposition of color' that affects others projection equipment. The Sony Reality Creation system analyzes any input source, frame by frame, using a database of patterns that optimize each pixel to deliver clear, crisp images. In addition, the function of instant power, design without tilt angle and the range of movement of vertical/horizontal lens, among other functions. This fourth generation of laser projectors from Sony have a new discreet and compact design, with a low level of acoustic noise for installation in any environment, and have integrated HDBaseT interfaces, which facilitates connectivity and reduces costs total system thanks to the use of a single category of cable that runs through all the video, audio, control and IP signal up to 100 metres away. 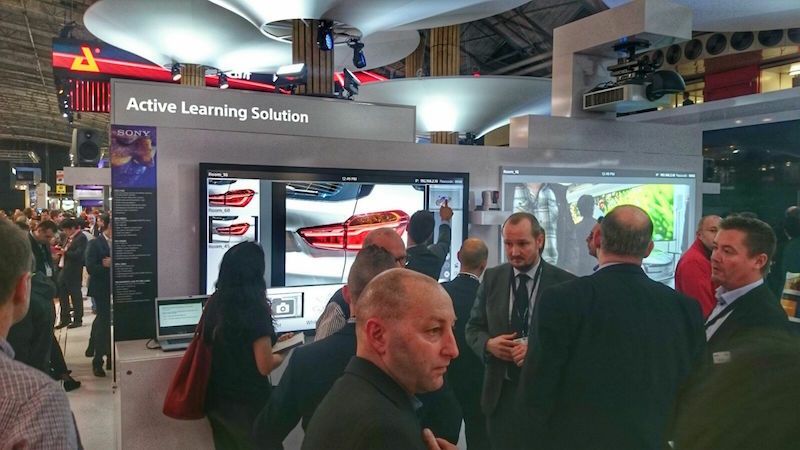 As says Robert Meakin, product for corporate and educational projectors from Sony Professional Solutions Europe Manager, "are pleased to offer the advantages of our innovations laser to a new segment on budget of the" higher education and business markets. With these two new models provide a projection 3LCD high quality laser with a similar price models based on lamp of the installation market". 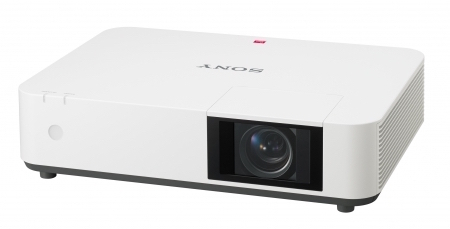 After the acceptance of the market range of portable high-brightness 3LCD projectors, Sony has introduced seven models of series E, 3,100 to 4,300 lumens, with specially developed for the educational and business B2B sector XGA and WXGA resolutions (in classrooms and) medium-sized meeting rooms), as an alternative to the education sector and the business. These new models: VPL-EW578 / 575 / 455 / 435 and VPL-EX575 / 455 and 435, have a contrast ratio of 20,000: 1 and 3LCD BrightEra technology manufacturer to offer superior image quality and reproduction of natural and vivid colors. All projectors have a compact design and a wide variety of functions, and low noise of the fan, Wi-Fi and automatic ignition. In addition, these new projectors of the series E are a complement to suitable for integrated AV/IT environments, since they expand the connectivity options of customers through dual HDMI ports for laptops, Miracast and Chromecast and IP control function connections to easily manage multiple projectors from the same room at the same time and shared spaces.